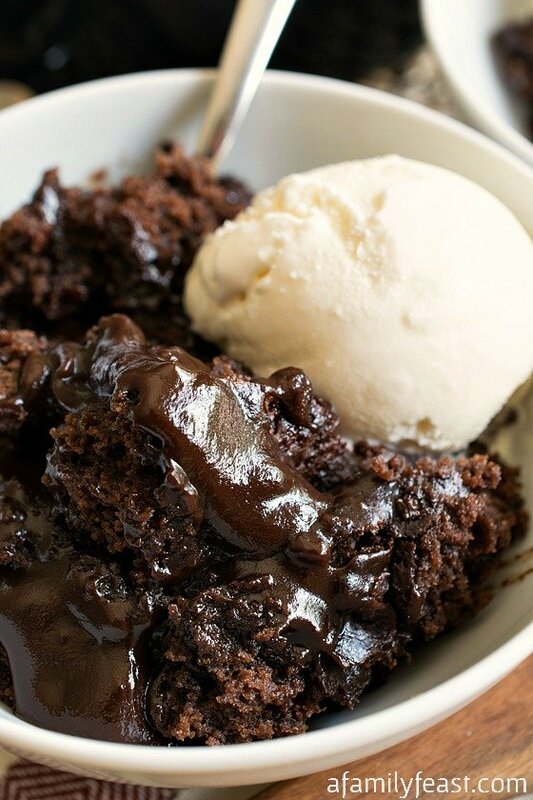 Do you ever get a craving for a certain kind of food? I do – and for some reason lately (probably since we made this recipe), I’ve been craving Greek-inspired foods! Something about the zesty, salty and spicy flavors has been calling my name! 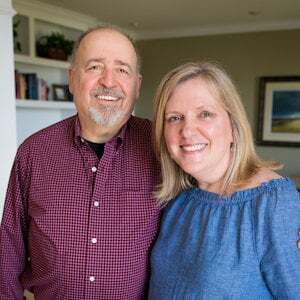 And with July 4th barbecues coming up – after I mentioned my Greek food craving to Jack – he offered to make his delicious Mediterranean Pasta Salad! 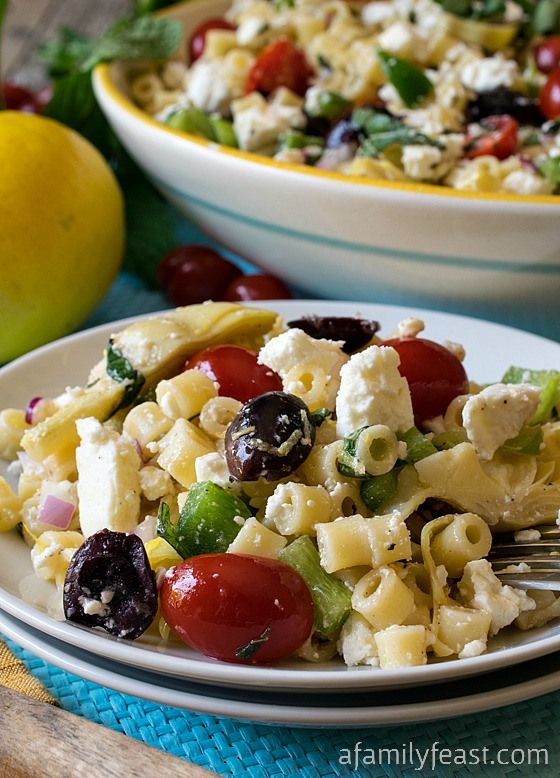 Jack made a version of this Mediterranean pasta salad several years ago – but he’s taken the flavors up several notches in this recipe! 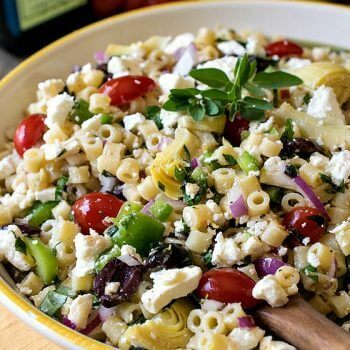 It’s an easy pasta salad with classic Mediterranean ingredients – garlic, olives, tomatoes, peppers, artichokes and feta cheese, plus basil and mint for some additional fresh flavor. But the dressing…OH…this fantastic dressing! The dressing is also made with classic ingredients…but the flavors are super intense and wonderful because the extra virgin olive oil has been heated and then flavored with garlic and oregano – making the flavors really come alive! Some salt and pepper is added for seasoning as well – and then a final splash of fresh lemon juice completes this perfect dressing. Then – this wonderful dressing is poured over the hot, freshly cooked pasta – and the pasta absorbs some of the dressing as it cools. Honestly – I’d be happy eating the flavored pasta with just the dressing – it’s that delicious! All of the vegetables and pasta get tossed together and then the salad is chilled. 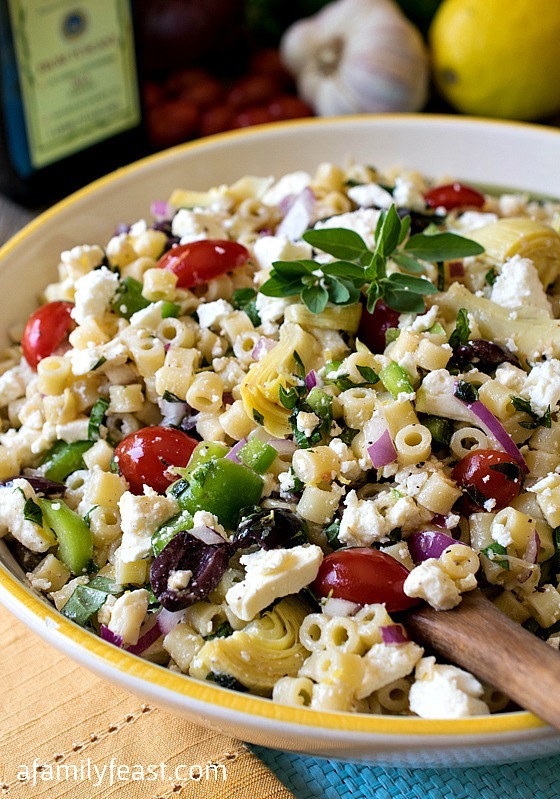 And – a final generous sprinkle of feta cheese completes this wonderful Mediterranean pasta salad. 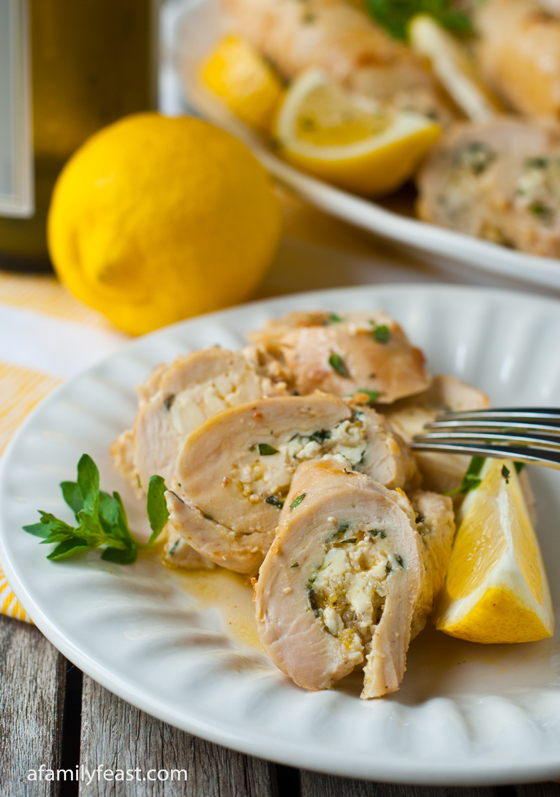 This recipe uses fresh herbs, which are highly recommended. If fresh herbs are not available, use half the amount of dry herbs for each listed. 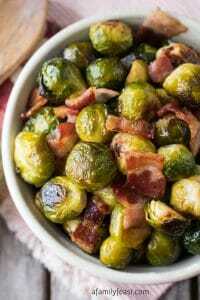 I love the flavors in this recipe! I used cucumbers instead of the peppers and it came out great! Thanks!! Great idea Kelly! Thank you for taking the time to write to us today! OMG! Made this pasta salad dish last night! I am in love with the flavors. In fact, the garlic mixture alone is amazing with just the pasta. Didn’t use the green peppers because I thought it would muddy the taste, but I give you two thumbs up!!!!! Wow, making it again and again. Love your recipes! 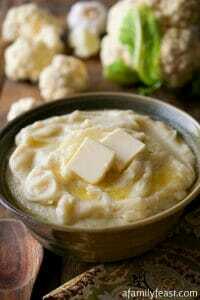 However, some of us out here need to Know the Nutrition values for health reasons. Thank you. Thanks Luci. My Fitness Pal is a great free online calculator you can use if necessary! 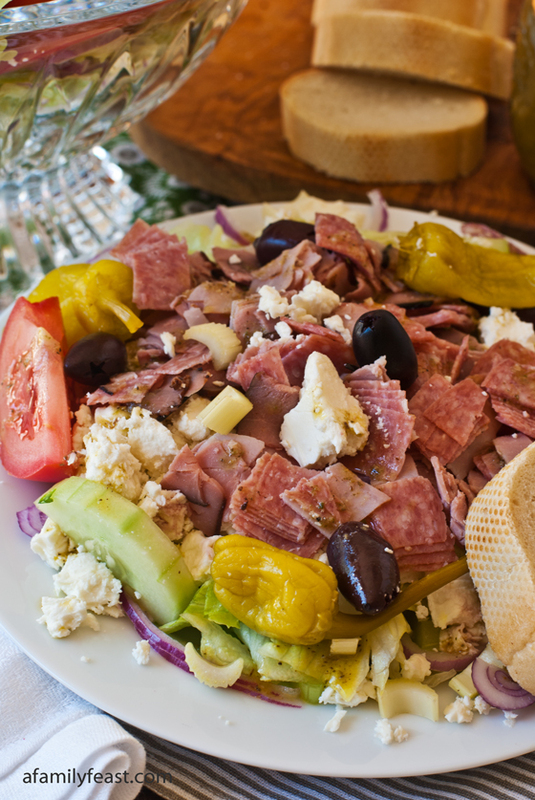 I have been making this type of salad for years. It is my husband’s and my favorite. I use brown rice pasta, green onions, sun dried tomatoes, pine nuts and shredded carrots. 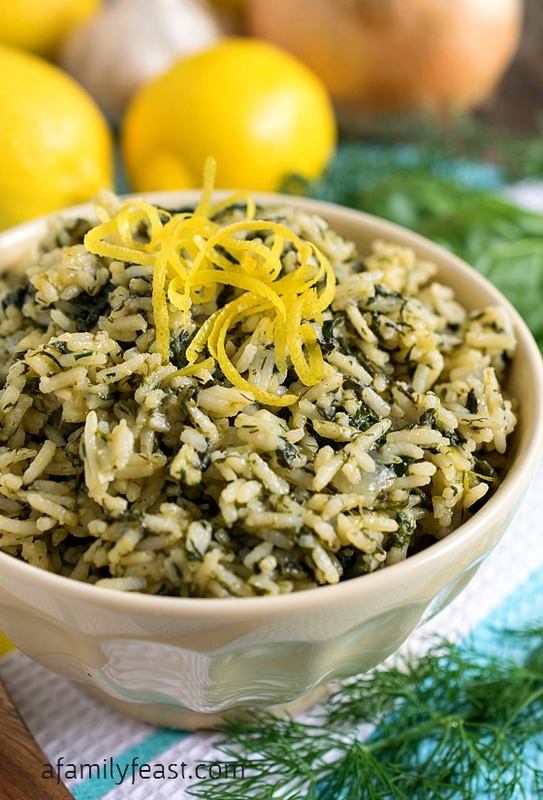 Using brown rice pasta makes it a healthier salad and we feel we are not eating empty calories. 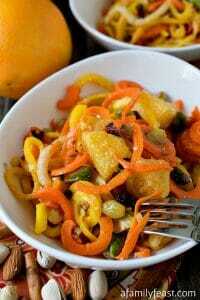 This is such a fun twist on traditional pasta salad. Looks amazing! I love this!!! I’m a huge fan of feta and Kalamata olives. 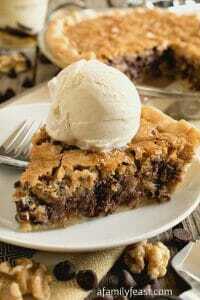 I don’t think I would share this with anyone. I’ll take a huge serving of this, please and thank you! It looks good enough to make a meal out of! This salad is right up my alley. Mediterranean flavors are so light and fresh! I agree Melissa! Thanks for visiting today! Wow that looks awesome! So colorful and I love the texture! 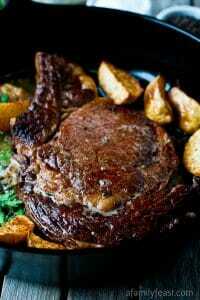 Hubby would devour that! Sounds perfect for 4th of July. Honestly, I think I pin just about everything you post! Thank you. Thank you Maria! 🙂 You’ve made our day! Beautiful looking pasta salad. I bet those flavors really come through! Thanks Christine!! They do indeed! I need to organize a picnic so I can make THIS. Yum! 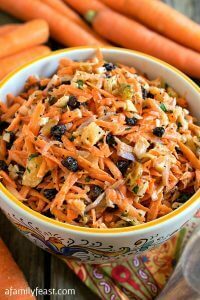 I love pasta salads and the Mediterranean twist of flavors sounds amazing to me right now! 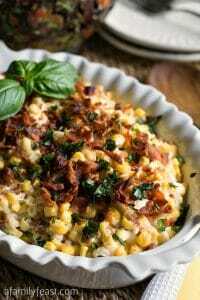 I will have to make this for my next cook out we get invited to! 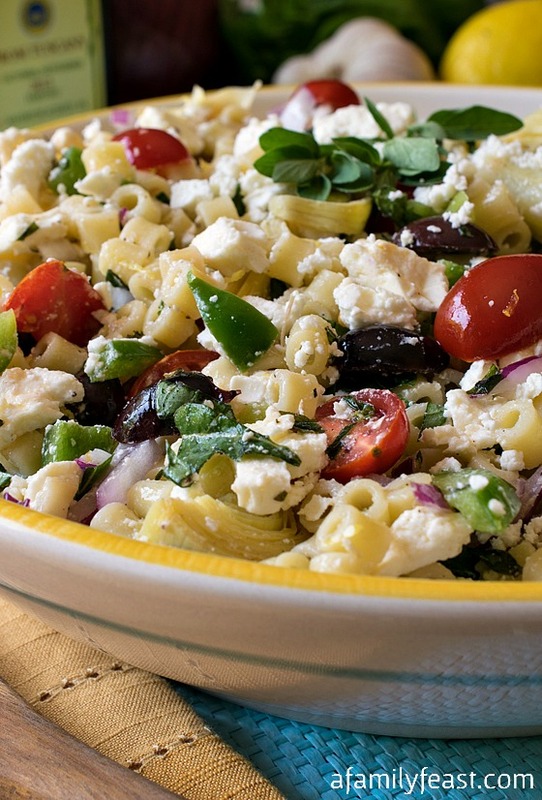 This pasta salad is perfect for a BBQ, love it! Wow, Martha! I want to pour this dressing on absolutely everything! I’ll start with this pasta salad but after that, the sky’s the limit! 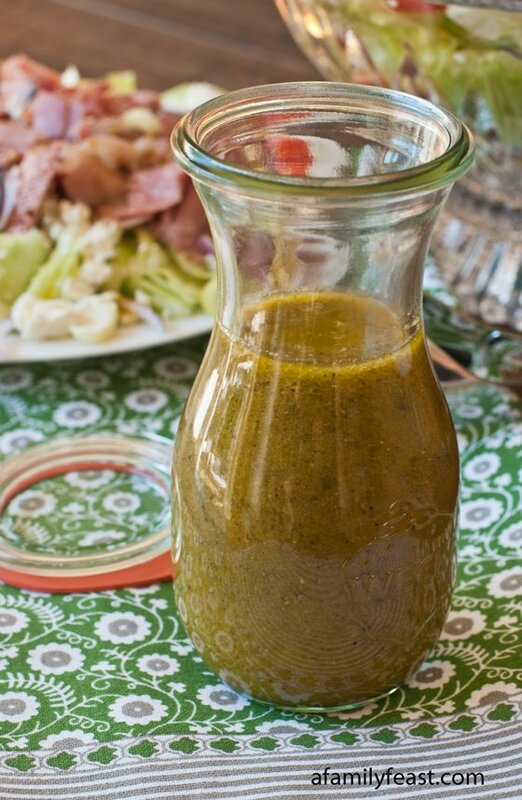 Definitely Kirsten – it’s a great method to intensify any homemade dressing! I’m quite sure I’d drink that dressing. Oh my. That dressing does sound fabulous! I love a good Greek dressing but I’ve never tried heating the oil with the spices. I bet that makes it super intense! Can’t wait to try it! Thanks Courtney! Heating the oil definitely works some magic! Hope you enjoy the recipe as much as we do! I love all the flavors in this delicious salad. Greek food is always a craving of mine. Thanks Christie! We’ll have to go back to that Greek restaurant again if we ever make it back to Miami!